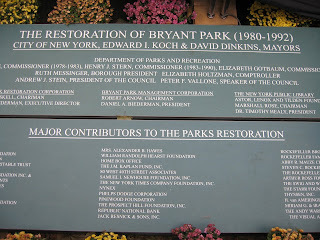 In this post, BPC’s archivist Anne Kumer, shares a piece of the park’s rich history. 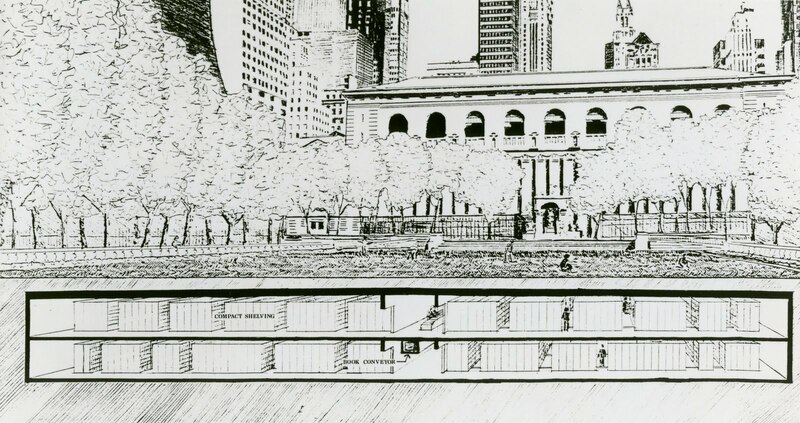 In 1983 the Bryant Park Corporation retained landscape architecture firm Hanna / Olin Ltd., now The Olin Studio, for the re-design of Bryant Park. 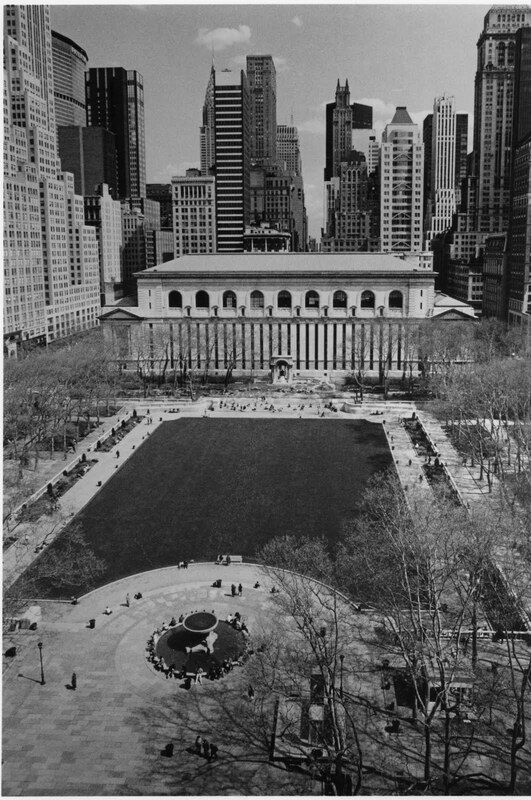 Over the next several years, plans were drafted and the park began its transition into a beautiful, well used public space. 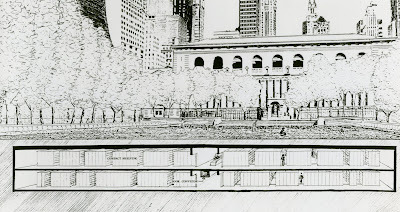 Concurrent with Bryant Park’s facelift, the New York Public Library embarked on a large construction project of its own: the addition of 120,000 square feet of library stacks beneath the surface of the Bryant Park lawn. 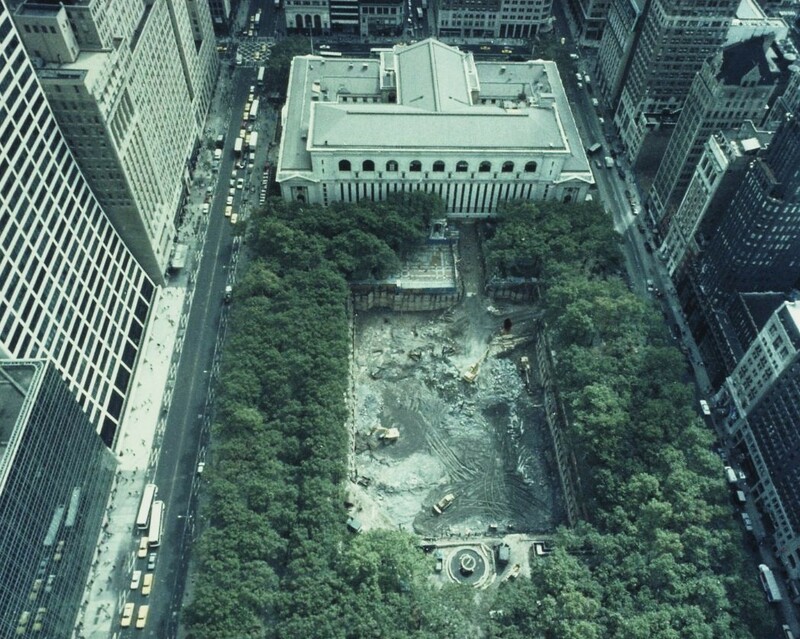 The excavation for the two story stacks began in July 1988, with Tishman Realty & Construction Co., Ltd. managing construction. 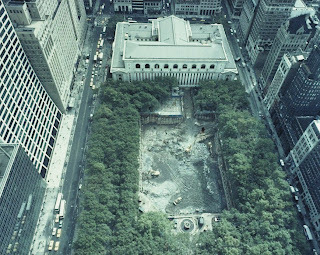 Requiring a 30 foot excavation in the center of the park, the finished stacks accommodate up to 3.2 million books and 500,000 reels of microfilm, doubling the library’s storage capacity. The stacks are connected to the main library by a 62 foot long tunnel. 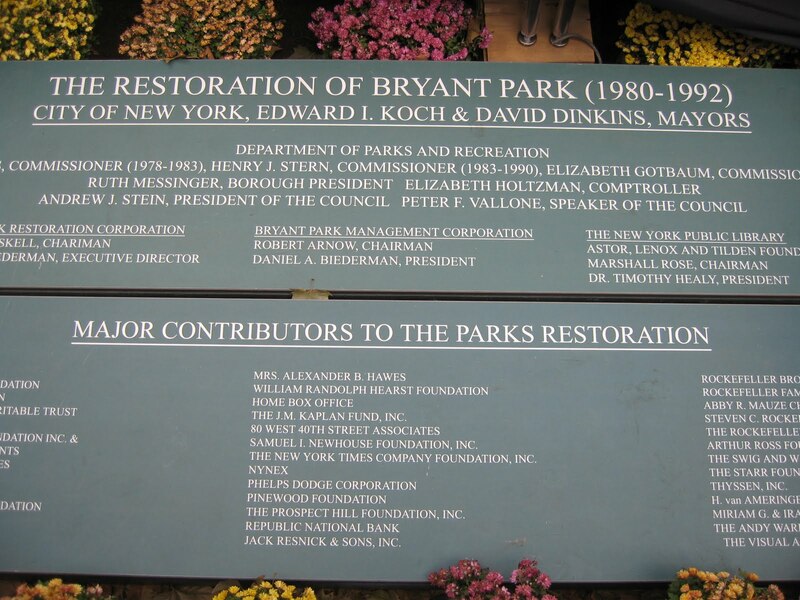 Additionally, there is a fire escape on the west side of the Bryant Park lawn, disguised by a dedication plaque. 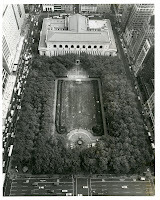 The stacks took less than a year to complete, and the lawn was seeded, and in place by September 15, 1989. The park partially reopened to the public in spring of 1990. I visited Bryant Park for the first time last night (Aug 19) around 6-9 and I really enjoyed it. The park is beautiful! I will definitely be coming back soon. Thank you very much for your help, and thank you for the beautiful park! Thanks for stopping by the park! The band that played last night is called Grace Potter and the Nocturnals, and their website is http://www.gracepotter.com. I was once told Nazi Archives ate stored under the park. True? 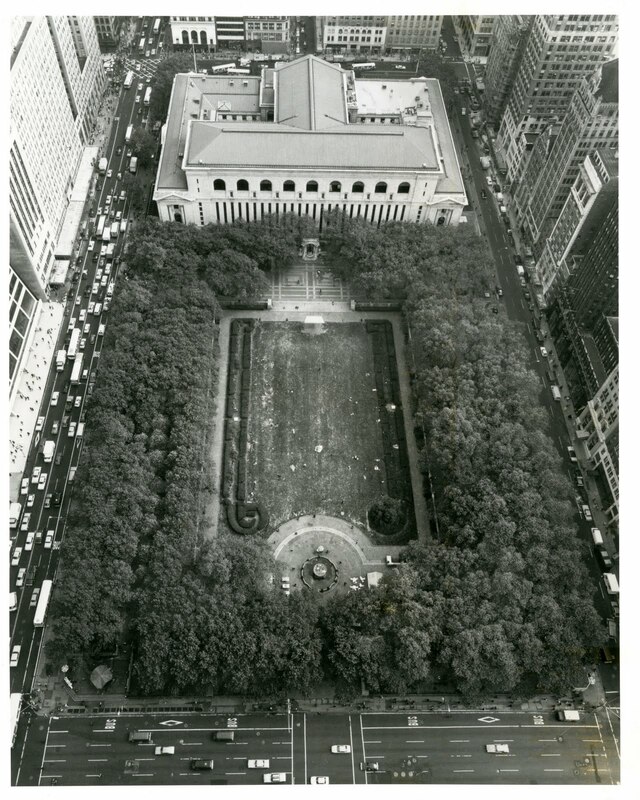 That is a good question for the New York Public Library! The library stacks are located under the lawn area of the park.